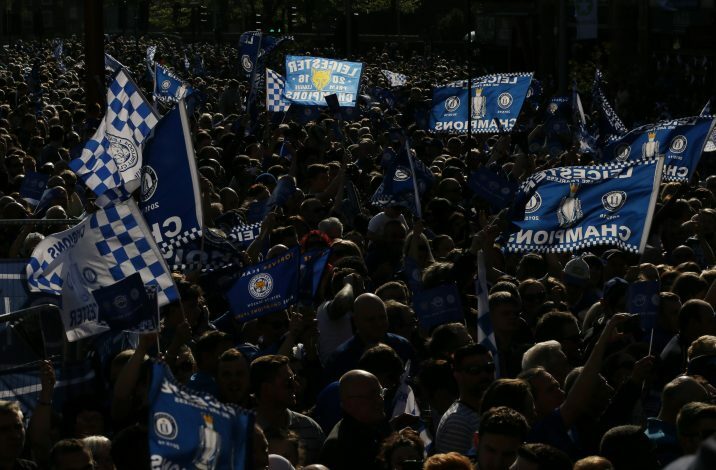 This year’s race for the Premier League title is as heated as ever, with surprise contenders Leicester City having stunned the footballing world with their run of form and phenomenal performances. Leicester are currently topping the league with 9 games left to go and Tottenham Hotspur trailing by 5 points. Let’s take a brief look at the history of the current league leaders Leicester City. The Foxes, as they are known, were promoted from the Football League Championship to the Barclays Premier League after a 10 year absence. They sealed promotion as well as the Championship title after beating Bolton Wanderers on 22nd April, 2014. Therefore, they took part in the Barclays Premier League 2014-2015 season – their first season in the top tier after 10 years. Their manager at the time was Nigel Pearson, and he managed to steer them clear of relegation with Leicester finishing 14th in the table. On 30th June, 2015, Leicester City sacked Nigel Pearson due to the lack of a working relationship between Nigel and the Leicester City FC Board. The club then appointed Claudio Ranieri as their new manager. Ranieri was an experienced coach who had managed almost 15 clubs prior to the appointment by Leicester City. He had led AS Monaco into the French Ligue 1, as well as managed the likes of Inter, Chelsea, Valencia, Atletico Madrid and many more. Ranieri started off the 2015-16 Premier League season with a 4-2 win over Sunderland. Leicester’s strong start to the season had them topping the table at Christmas. They managed to score in each of their first 17 games, a run in which their striker Jamie Vardy broke a Premier League record by scoring in 11 consecutive games. And that’s how the little club that was fighting for promotion two seasons ago, is now poised to with the Barclays Premier League title. Leicester City boast a starting XI that costs just over £20,000,000. A tiny fraction of the likes of City and Chelsea, who have spent more than ten times that amount building their starting XIs. City have a starting XI worth just over £200,000,000 – thanks to investment from their Arab owners, City football group. Manchester City have been fortunate to have heavy investments in their squad over the past years. They have managed to sign many big names such as Sergio Aguero, Yaya Toure, Raheem Sterling and a lot more. They certainly aren’t afraid of breaking the bank for players; something we all witnessed when they signed Kevin De Bruyne for £50 million, as well as Raheem Sterling for around the same price. City’s aggressive transfer approach has won them the Barclays Premier League trophy in 2012 and 2014. But as Leicester are currently showing us, money isn’t everything. Consistency and dedication will be key in spearheading the title race. City currently sit 10 points behind Leicester with 9 matches left to be played. But their title hopes seem to be fading as they sit in 4th place this late in the season. Another serious contender in this year’s title race is Arsenal FC. However, this season hasn’t been anything less of a nightmare for Arsene Wenger, as they sit behind their bitter rivals Tottenham Hotspur. Arsenal are 8 points behind Leicester and 3 behind Spurs. They have not managed to win the title since 2004, and today, it’s Spurs that have a better chance of winning it. Arsene Wenger has definitely not been shy in the transfer market in recent years, having managed to sign Mesut Ozil as well as Alexis Sanchez, and spending almost £75 million in the process. This season could prove to be the last for Arsene, as losing to Tottenham may see him sacked. Second in the league table, we have Tottenham Hotspur; a team that finished 5th last season. Tottenham have shown some consistent and convincing performances this season. They won 4-1 vs Manchester City at White Hart Lane in September last year and drew with Arsenal and Chelsea. Financially, Tottenham have never really broken the bank to sign players. They prefer to develop and sign youngsters, and they have never failed to produce talent. Spurs have developed and sold the likes Dimitar Berbatov, Luka Modric and Gareth Bale, selling Bale for a record breaking fee of around £80 million. At present, they have players such as Harry Kane and Christian Eriksen – who may become key players in the coming years. There is no doubt that this has been one of the most exciting Premier League seasons to date. If there is anything that we can learn from this, it’s that money isn’t the only factor that will bring you trophies. Leicester City have showed sheer determination and produced consistent performances to get to the top of the league table. Their top scorer, as well as the Premier League top scorer Jamie Vardy, has scored an astonishing 19 goals so far this season. Last year, Sergio Aguero managed to bag the golden boot with 26 goals. Vardy only has 7 more to go to match that tally. However, what’s amazing is that Aguero cost City more than £35 million, whereas Vardy cost Leicester less than £10 million. Goes to show: Money isn’t everything. Leicester have surely proved to the footballing world that hard work and dedication will yield better results that splashing out money. Who do you think will bag this year’s Barclays Premier League title?